THE BOOK: Agnes Canon’s War. THE EDITOR: Kristina Blank Makansi. THE PUBLISHER: Blank Slate Press, St. Louis. A partner in Amphorae Publishing Group. 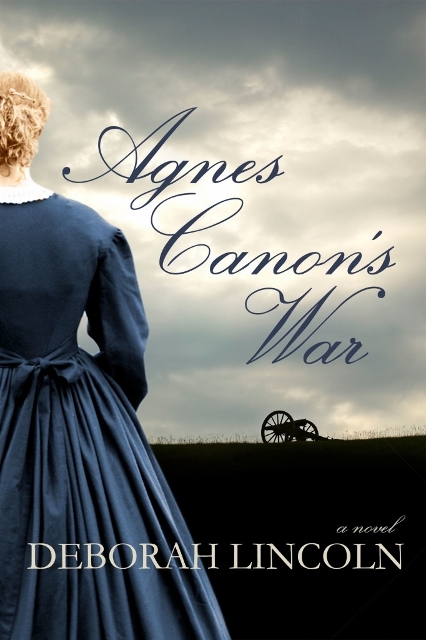 SUMMARY: Agnes Canon’s War is the fictionalized story of my great great-grandparents’ experiences during the Civil War in Missouri. Agnes Canon is 28 and a spinster when she leaves her home in Pennsylvania in the spring of 1852. She joins a group of cousins who immigrate to frontier Holt County in northwest Missouri. There she meets and marries Jabez Robinson, a doctor who grew up in Maine and in his youth traveled to the California gold fields and the Southwest in search of adventure. In the decade before the Civil War actually breaks out, both Kansas and Missouri are a battleground of politics and acts of violence, and Agnes and Jabez are in the thick of it. This is the story of two people who watch their family, their town, everything that keeps a society civil, crumble into a chaos that they are powerless to stop. THE BACK STORY: I had access to the basic facts of my ancestors’ lives, which were compiled by a cousin in the 1970s. The characters were so exceptional, the events so extraordinary, that I didn’t want the story to die out. Agnes seemed to me to stand out from other nineteenth-century women, in that she chose to turn her back on her family home in Pennsylvania and venture into the unknown. And Jabez, too, was a fascinating and even romantic character: though he was born and raised in Maine, he held secessionist views during the Civil War and suffered from them. The “plot” was tailor-made for a novel, and though I left out lots of events and made up others, I hope I did them justice. I worked on the novel off and on for nearly twenty years. When I retired, I found the time concentrate on it, then discovered I needed to know a lot more about the craft of writing. So I nearly started over and spent another five years polishing and finding a publisher. WHY THIS TITLE? Agnes’s war was fought on several fronts: obviously, the Civil War and the events that led up to it were driving forces in her life. But she also fought a war against the expectations society had of women in the mid-19th century, a war against the boredom and lack of meaning that a single, aging woman encountered, and a war to ensure her legacy and that of her husband lived on in future generations. WHY WOULD SOMEONE WANT TO READ IT? Agnes is a strong, fascinating character. One contest judge said “Agnes is a force to be reckoned with!” I think young women, especially, will find a role model in her. At the same time, many readers have told me they learned so much more than is generally known about the war in Missouri and how war on the home ground affects, even destroys, a small close-knit society. 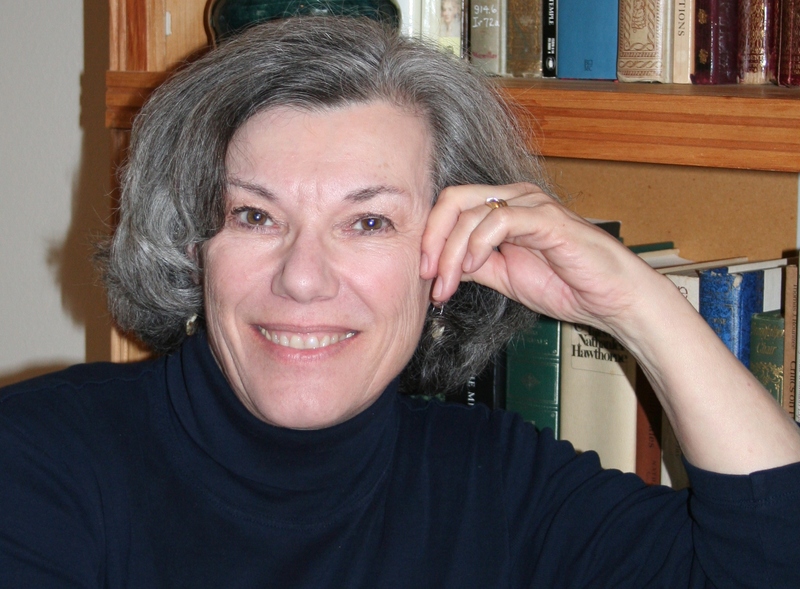 AUTHOR PROFILE: Award-winning author Deborah Lincoln has lived on the Central Oregon Coast for ten years. She grew up in the small town of Celina, Ohio and earned a bachelor’s degree in English from Michigan State University and a master’s degree in Library Science from the University of Michigan. She and her husband have three grown sons. She was awarded first place in the 2013 Chanticleer Laramie Awards (best in category) and was a 2015 finalist for a Willa Award in historical fiction presented by Women Writing the West. She’s working on a sequel to Agnes Canon’s War. SAMPLE CHAPTER: You can read the first chapter on Amazon. LOCAL OUTLETS: Your local bookstore can purchase ACW through its normal channels. It is distributed by Midpoint Trade. PRICE: $14.95 paperback; various prices, Kindle and Nook CONTACT THE AUTHOR: I’d love to hear from you!